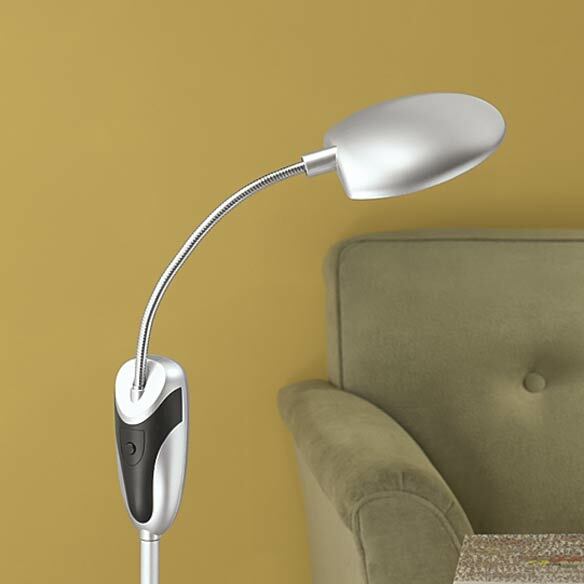 This super lightweight adjustable-height cordless LED lamp goes wherever you need it to go. 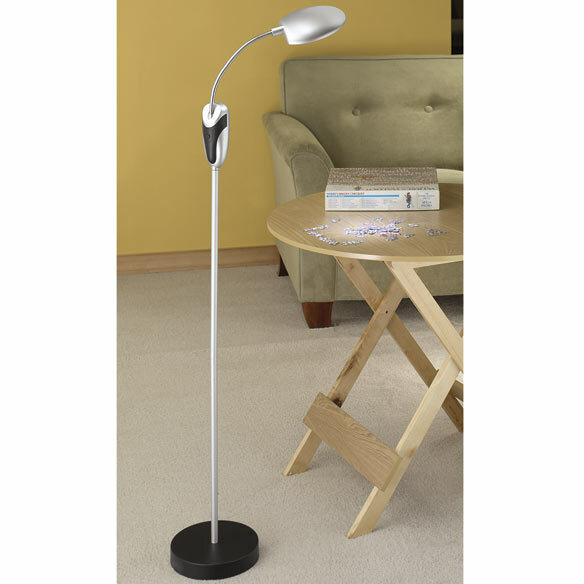 Carbon steel and aluminum battery powered lamp has no cord so no tripping hazard, and no restriction on where you put it. Great for reading, crafts, repairs, and more. 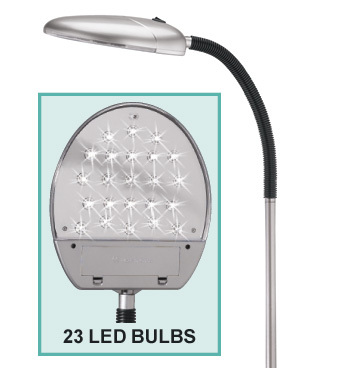 Battery-operated lamp features 16 LED bulbs and requires 6 AA batteries (not included). 8" dia. base. Light is 6"L x 5 3/8"W. Measures 51 1/2"H. Minor assembly required. The structure of the lamp is ideal, but I need to recharge the batteries every 3-4 days. Lots of Hype & No Glow! Does NOT give much light! Very weak!!! Can't even see. this lamp is not worth the [$] I paid for it. it falls over when i try to adjust it and the lightis very poor. I didn't bother to send it back.Notworth the money to send it. i would not purchase this again & would not recommend it. The lamp is has a very dull light and you cannot read using it. No matter which end I tried to screw in, neither fit. When I took the lamp (without the poles) and plugged it straight into the base of the lamp, the little LED lights came on. Otherwise, they didn't. Poor construction falls over easy, lens cover doesn't stay on, doesn't give enough light. Not what I expected for the money. 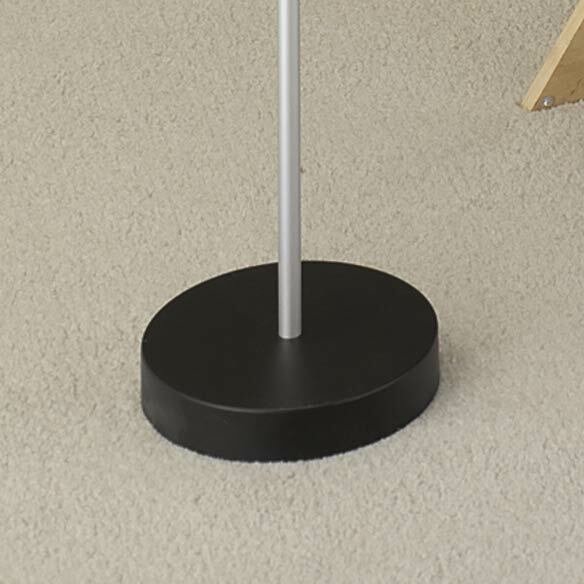 This lamp is well-made. Solid and sturdy. It just doesn't produce enough light to read by.It would make a good night light. THE CORDLESS FEATURE IS IMPORTANT TO ME. 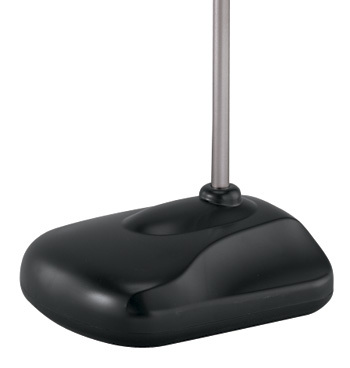 Need lamp by chair to see at night.